Nippon Sharyo, Ltd. (日本車輌製造株式会社, Nippon Sharyō Seizō Kabushiki-gaisha, literally "Japan Vehicles Manufacture Company"), (TYO: 7102), formed in 1896, is a major rolling stock manufacturer based in Nagoya, Japan. In 1996, it abbreviated its name to "日本車両" Nippon Sharyō. Its shortest abbreviation is Nissha "日車". It was a listed company on Nikkei 225 until 2004. It is listed on the Tokyo Stock Exchange and Nagoya Stock Exchange as ticker 7102. In 2008, Central Japan Railway Company (JR Central) became the majority shareholder (50.1%) of the financially struggling Nippon Sharyo making the firm a "consolidated subsidiary" of JR Central. In July 2012 Nippon Sharyo USA started production in their new facility in Rochelle, Illinois. The facility closed at the end of October 2018 due to a lack of orders. All Rheostatic EMU are stopped operating in the Jabodetabek lines and waiting its time for being scrapped. Shinko Diesel Multiple Units (a.k.a. KRD MCW 301 and KRD MCW 302[better source needed]) for short distance line like Surabaya-Lamongan, Surabaya-Sidoarjo, etc. Note: The DMU built in 1976 are now used as regular loco-hauled trains without engines. The DMU made in 1978, 1980, & 1982 upwards are refurbished with Cummins Engine (NT885-R) and voith turbo (T211re.3) transmission. Nippon Sharyo, in 1936, built the JNR Class C56 steam locomotive number C56 31, which was used in 1943 to open the infamous Thai-Burma Railway, as stylized in the movie The Bridge Over the River Kwai, built by over 100,000 Allied POW and other slave labourers. This restored steam engine now sits in the foyer of the Yasukuni War Museum in Tokyo. Japanese veterans groups raised funds to return the locomotive from Burma to Japan in 1979. During World War II, Nippon Sharyo, like many major Japanese companies, drew upon prisoner of war labour to maintain war production. The POW camp at Narumi provided Allied POW forced labour for Nippon Sharyo. ^ a b "JR Central takes majority stake in train builder". Railway Gazette International. 1 October 2008. 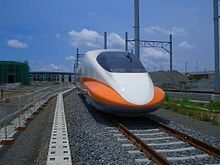 ^ "Taiwan Railway Administration orders tilting trains". Railway Gazette International. 6 January 2011. 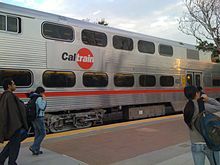 ^ a b "Sonoma-Marin orders commuter DMU cars". Railway Gazette International. 20 December 2010. ^ Narumi POW Camp Retrieved 27 June 2010. Wikimedia Commons has media related to Nippon Sharyo. This page was last edited on 8 April 2019, at 06:48 (UTC).